Important Information: The price of Naproxen has temporarily increased due to increased wholesale prices and stock shortages. Please read our Naproxen Stock & Price Update: December 2018 for further information. Naproxen – sometimes called Naproxen Sodium – is a powerful anti-inflammatory painkiller. 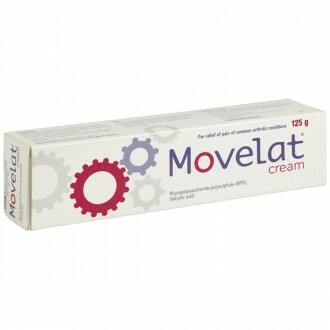 It is used to relieve muscular and joint pain, such as arthritis, as this normally also involves some sort of inflammation. Naproxen is taken twice daily with or after food whilst pain is present. Based in the UK, The Independent Pharmacy can provide Naproxen 250mg & 500mg online for fast, effective, low-cost treatment of short-term pain and inflammation without the need to see your GP. Available in dosages of 250mg and 500mg, Naproxen is a non-steroidal anti-inflammatory drug (NSAID). It has a similar method of action of the over-the-counter medicine ibuprofen; it blocks chemicals that cause pain and inflammation at the site of injury. Naproxen is a stronger anti-inflammatory than ibuprofen and is used in moderate pain and inflammation or where ibuprofen has been ineffective. 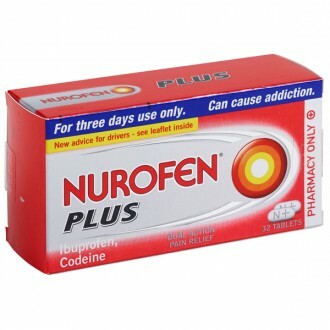 Naproxen provides a similar level of pain relief to diclofenac and has similar levels of anti-inflammatory activity. Naproxen has now largely replaced diclofenac in the UK due to concerns surrounding the adverse effects on the heart and gastrointestinal system caused by diclofenac. The standard recommended dose for Naproxen is between 250-500 mg taken orally twice a day – or every 6-8 hours as needed. Overdoses can be dangerous, so do not exceed the dose recommended by your pharmacist or doctor. Naproxen should always be taken with food to protect the stomach. Patients who are taking Naproxen long-term (regularly for periods exceeding two weeks) should take a treatment to protect the stomach, such as Omeprazole, whilst taking Naproxen to reduce the chance of side effects. 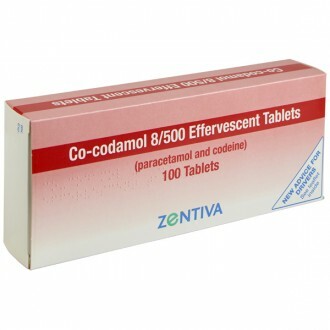 You can take Naproxen together with paracetamol and opioid-type painkillers such as codeine, co-codamol, tramadol or morphine. This is because Naproxen is primarily an anti-inflammatory, whereas codeine is an opiate used to treat pain. However, don't take aspirin or other related anti-inflammatory painkillers (NSAIDs) like ibuprofen or diclofenac, as this heightens the risk of side effects on the stomach and intestines. If you take selective inhibitors of COX-2 such as etoricoxib or celecoxib you should not take Naproxen for the same reason. 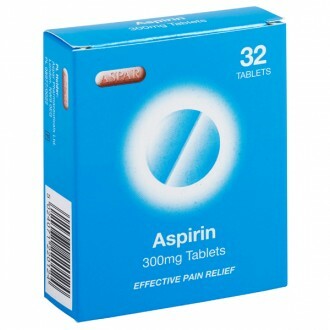 Unlike aspirin, Naproxen does not thin the blood, but the use of blood thinners (like aspirin) alongside Naproxen is not recommended. Drinking alcohol is fine while taking Naproxen, but it’s advised to stay within moderate quantities, as too much alcohol can irritate the stomach. Naproxen can sometimes lead to feeling dizzy or sleepy, therefore you shouldn’t do any driving while taking it until you know how it affects you. It is important to remember that cold and flu remedies and over-the-counter painkillers often contain ibuprofen or aspirin. For this reason, you should avoid these medications while you're taking Naproxen to prevent an accidental interaction. Check the ingredients of other medicines you wish to take before buying or ask us for advice. 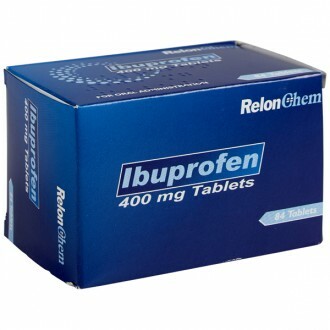 You should also check with us before you buy anti-inflammatory gels (such as ibuprofen, diclofenac, ketoprofen or piroxicam) for use alongside Naproxen tablets because this is not safe for everyone and the dosage may be too high. 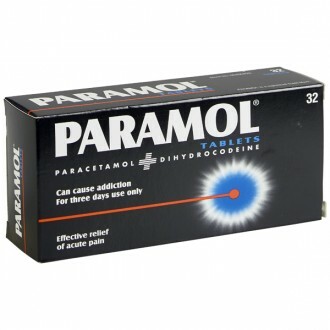 For pregnant women, paracetamol is usually recommended to control pain during pregnancy. If this doesn’t work and you need something stronger, it’s important to speak to a doctor before taking any NSAIDs during pregnancy. Naproxen is thought to have fewer side effects than other anti-inflammatory drugs, with it being less harsh on the stomach than treatments such as high-strength ibuprofen or diclofenac. At The Independent Pharmacy, we only supply Naproxen in gastro-resistant tablets, which means that they have an extra protective coating to help reduce the chance of side effects even further. Naproxen should always be taken with or after food, and at the appropriate dosage, to help protect the stomach lining. Naproxen is suitable to buy online for those with short-term, non-serious injuries that do not require a visit to the doctor. For serious injuries or long-term conditions, it is more appropriate to see your GP for examination and management. If you’re suffering from arthritis, it may be that you are prescribed Naproxen, unless there is a more appropriate long-term option available. Before you buy Naproxen, you should see your GP to check that your kidneys are functioning properly. The kidney blood tests should be conducted once or twice a year by your doctor. Please inform us about any issues with your kidneys when you order to prevent any delays. If you take Naproxen together with quinolone antibiotics, such as or norfloxacin or ciprofloxacin, you may have an increased risk of seizures, particularly if you have epilepsy. Probenecid may reduce the body’s removal of Naproxen. If you take this combination together, inform your doctor if you develop Naproxen side effects; your dosage may need to be lowered. Naproxen 500mg tablets should be taken TWICE daily, with a gap of at least six to eight hours between doses. They are normally taken with breakfast and your evening meal. Naproxen can be taken as required although it is often best to take it regularly for a number of days to help an acute injury such as a sprain or strain. Always ensure Naproxen is taken with or after food. If you miss a dose of Naproxen, take the missed dose as soon as you remember. You should never take more than two Naproxen 500mg tablets in 24 hours and ensure you leave a gap of at least six to eight hours between doses. 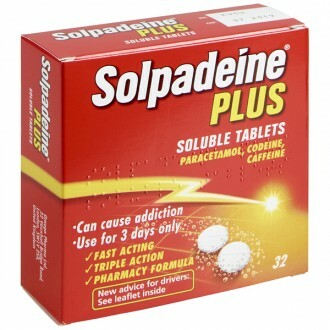 Whilst taking Naproxen you should ensure you avoid other medicines containing NSAIDs (e.g. aspirin, ibuprofen & diclofenac). You should try to avoid drinking alcohol as it may increase your risk of stomach bleeding. Naproxen can cause you to burn more easily in direct sunlight. Ensure that you wear protective clothing and use sunscreen (SPF 30 or higher) when you are outdoors. You should avoid tanning beds and sun lamps. Like all anti-inflammatory medicines, Naproxen can cause side effects. Gastric side effects including upset stomach, heartburn, stomach pain, constipation, or diarrhoea. These can also include bloating and gas. Blurred vision or ringing in the ears. Some of these side effects may be less likely to occur if Naproxen is taken with or after food. Naproxen can cause an allergic reaction in a very small number of people. You should not take Naproxen if you know you are allergic or if you have an allergy to any other anti-inflammatory medicines such as ibuprofen, aspirin or diclofenac. If you suffer with an allergic reaction to Naproxen, symptoms may include: hives; difficulty breathing; swelling of your face, lips, tongue, or throat. If any of these symptoms occur you should seek medical attention immediately. 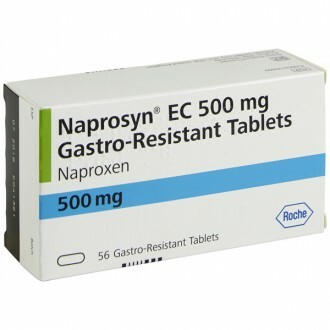 Naproxen 500mg gastro-resistant tablets contain 500mg naproxen as the active ingredient. It also contains the following inactive ingredients: Methacrylic acid-ethylacrylate copolymer (1:1), Lactose, Magnesium stearate, Maize starch, Crospovidone, Propylene glycol, Sodium hydroxide, Triethyl citrate, Titanium dioxide (E171) , Potassium sorbate (E202) , Sodium citrate (E331) , Xanthan gum (E415), Hydroxypropyl cellulose (E463), Purified talc (E553), Beeswax. Other anti-inflammatory drugs such as aspirin, ibuprofen or diclofenac. Blood-thinners or medicines that reduce blood clotting such as heparin or warfarin. corticosteroids such as prednisolone or dexamthasone. diuretics (‘water tablets’) such as furosemide. Medicines to treat high blood pressure such as captopril, ramipril or propranolol, losartan or candesartan. SSRI antidepressants such as citalopram and fluoxetine. Quinolone antibiotics such as ciprofloxacin. Bisphosphonates such as alendronic acid. 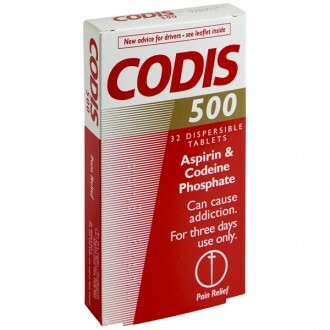 Colestyramine (take naproxen 1 hour before or 4 to 6 hours after colestyramine to avoid interference with absorption). Sulphonylureas such as glibenclamide or gliclazide. Cardiac glycosides such as digoxin. If you are taking any of the above medicines you should always check with your doctor before taking Naproxen as it can interfere with the action of your current medicines. Naproxen should not be used during preganacy or breast-feeding. Naproxen may cause a small increase in the risk of heart attack or stroke, especially when used long-term or if you have an existing heart disease. You should not use Naproxen before or after any kind of heart surgery. Long-term use of Naproxen can cause internal bleeding of the stomach or intestines. This can be fatal if untreated. 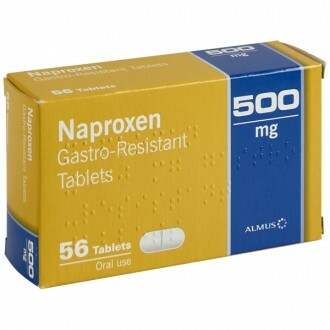 Whilst taking Naproxen you should always look out for stomach pain, indigestion, passing blood or black, tarry stools. If any of hese symptoms occur, seek medical treatment immediately. Naproxen is a painkiller belonging to a class of drugs called non-steroidal anti-inflammatory drugs (NSAIDs). 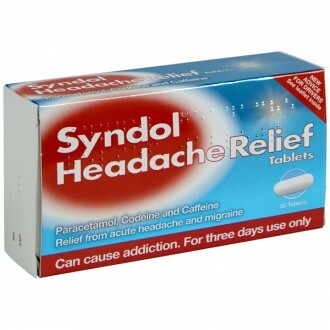 Other well known NSAIDs include aspirin, ibuprofen and diclofenac. Naproxen is a stonger anti-inflammatory than aspirin and ibuprofen; it is thought to be similar in strength to diclofenac but carries fewer risks and side effects. 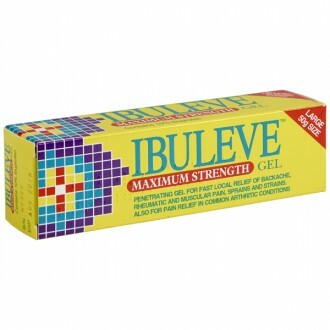 It can be used to treat pain where there is also inflammation present such as sprains, strains and mild arthritis. Naproxen works by blocking chemical transmitters called prostaglandins that are responsible for pain and inflammation at the site of injury. Prostaglandins are responsible for many different roles in the body, these include acting as pain messengers at the site of injury. Cyclooxygenase (COX) enzymes are important for prostaglandin production which in turn regulates pain, inflammation, platelet production and protecting the stomach. Naproxen and other NSAIDS are non-specific and block both cyclooxygenase enzymes (COX-1 and COX-2) to reduce all prostaglandin production and therefore reduce pain and inflammation. Stomach irritation, due to prostaglandin reduction, is a common side effect of NSAIDSs. 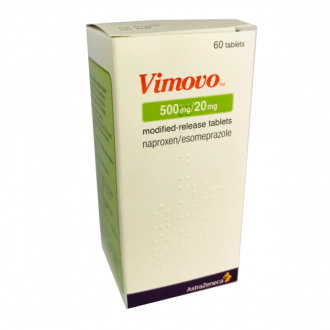 To combat this we supply Naproxen with a gastro-resistant coating to ensure that the tablet dissolves further down the gastrointestinal tract and not in the stomach. Naproxen is normally taken at a dose of one tablet twice a day, morning and night (roughly 12 hours apart). The Naproxen tablets have a special coating, which ensures they don’t dissolve in the stomach but further down in the intestines. If the tablets are crushed, chewed or broken this coating will be damaged and will not work properly. This means that the contents will be absorbed in the stomach which may lead to unwanted side effects such as stomach irritation or pain. Take Naproxen with or after food. This doesn’t have to be a main meal, as long as it is not on an empty stomach. Naproxen will start to work usually within an hour and the effects will last for up to 12 hours. 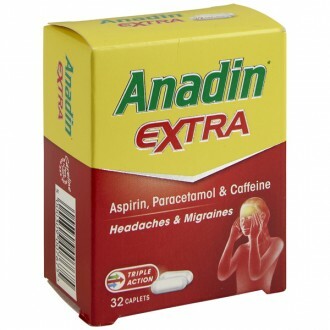 Naproxen can be taken with paracetamol to boost pain relief. 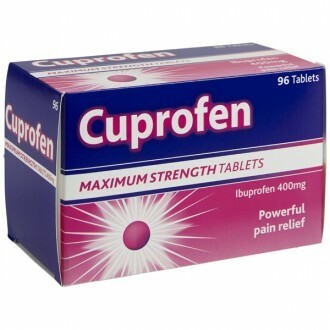 It should never be taken with other anti-inflammatories such as aspirin, ibuprofen or diclofenac. For more details please contact us for free and impartial advice. It is best to avoid indigestion remedies at the same time as Naproxen as they can change the acid environment of the stomach. The tablet will then dissolve in the stomach where it is not intended which may lead to side effects. Is it OK to take Naproxen every day? Naproxen is mostly recommended for people who have short-term, non-serious injuries or pain. If you’re taking it regularly (over weeks or years), or in high doses, it’s worth speaking to your doctor or pharmacist about whether there is a more appropriate long-term pain relief solution for you. High doses of Naproxen taken over a long period of time are associated with the risk of gastrointestinal bleeding. If you need to take Naproxen for periods exceeding two weeks, you should take a treatment, such as Omeprazole, to suppress stomach acid and thus protect your stomach lining from damage. What’s the difference between Naproxen and other pain treatments? Naproxen 500mg tablets are a prescription-strength anti-inflammatory and painkiller. They are stronger than the over-the-counter treatments such as ibuprofen and aspirin. Naproxen and diclofenac are thought to have similar effects although Naproxen is thought to carry less risk of unwanted effects. 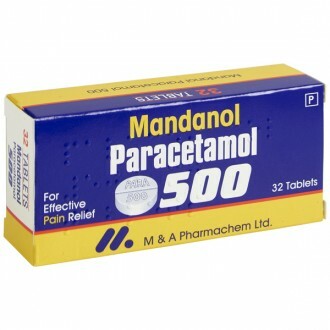 Naproxen and other NSAIDs are better at inflammation and swelling compared to paracetamol. Naproxen 500mg tablets are a stronger painkiller than paracetamol, however they can be taken together when extra pain relief is required. 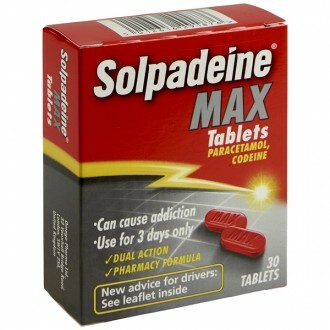 Naproxen does not have the potential to be habit forming like opiate-based painkillers such as codeine. Is it safe to use Naproxen continuously? It is safe to take Naproxen as a painkiller for the length a minor injury (normally for a few weeks) on a when required basis. The effect doesn’t decrease when it is used over long periods and it is not habit forming. Naproxen can be stopped at any time without tapering or reducing the dose. Most patients successfully treat their pain and inflammation using Naproxen without any side effects. The most common side effects are gastro-intestinal including stomach irritation, diarrhoea, wind, constipation, nausea and vomiting. Most of these can be avoided or reduced by taking Naproxen with or after food. The mode of action of Naproxen means that it not only blocks the production of prostaglandins used in pain and inflammation but also those responsible for protecting the stomach. It is important to recognise the need to a see a doctor if you have stomach pains, vomit blood, or have tarry/bloody stools. There is recent documented evidence that NSAIDs can increase the risk of heart attack. This side effect is considered to be rare and affect less than 1 person in 10,000. It is important to contact your doctor if you have pains in the chest and or pain running down your arm. It can take up to two hours for Naproxen to reach a full effect, however in most patients it is quicker than this. The effects usually last 7 - 12 hours. If you miss a dose then take another tablet when you remember. If a long time has passed and it’s nearly time for the next dose, do not double up to make up for the missed dose. Will Naproxen affect my driving? Naproxen can cause drowsiness (although it is not a common side effect) and it can affect your vision. Driving or operating machinery should be avoided if either of these side effects occur. Can I take Naproxen during pregnancy and breastfeeding? Naproxen shouldn’t be taken in the first six months of pregnancy without speaking to a doctor to weigh up the risks and benefits of treatment. It is not recommended in the last three months of pregnancy or during breastfeeding. Babies have a hole in the heart during their development in the mother, this is normal. In the last 3 months the hole starts to heal and is completely closed when the baby is born. Naproxen and other NSAIDs can prevent the hole from healing and should not be taken in the last three months of pregnancy. What Naproxen is used for? A non-steroidal anti-inflammatory drug, Naproxen is used for reducing pain and inflammation in the body. It does this by reducing the hormones that are causing the swelling. Naproxen is frequently used to treat conditions like muscle pain, arthritis, period pain and gout. Can you get high from taking Naproxen? It should go without saying that this is not what Naproxen is supposed to be used for! Taking Naproxen does not get you high, nor does it foster reliance or addiction, in the same way that codeine sometimes can. What should not be taken with Naproxen? Some painkillers are ok to take alongside Naproxen. 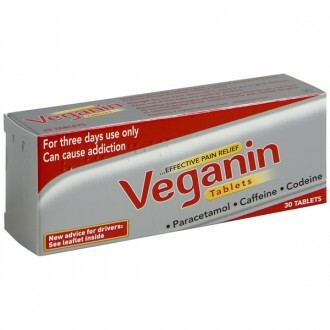 These include painkillers like paracetamol and codeine. However, Naproxen should not be taken alongside other anti-inflammatories, such as ibuprofen or aspirin, as this can have a damaging effect on the stomach and intestines if taken long-term without the proper precautions.